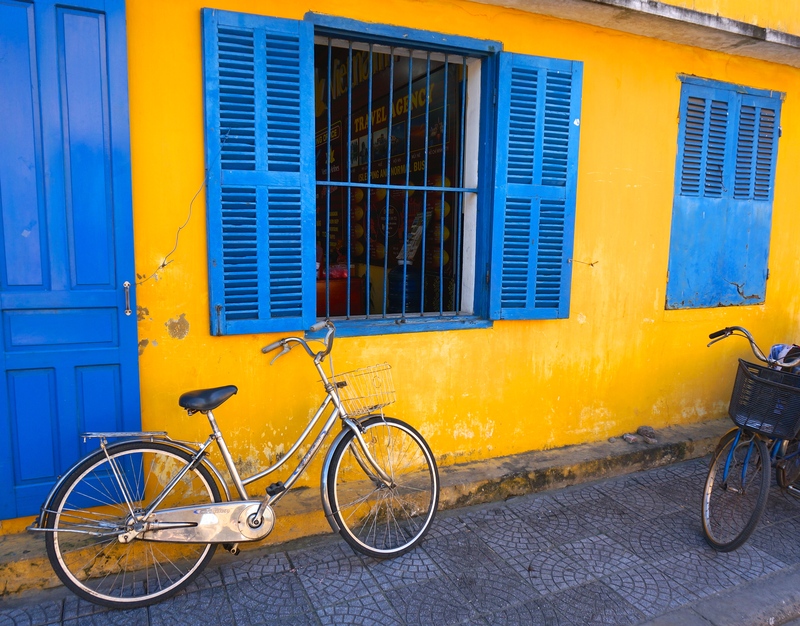 Yes, Hoi An is mostly known for it’s endless array of custom tailor shops but you definitely cannot overlook the beauty of this ancient town on the central coast of Vietnam. Hoi An has a beautiful beach area during the summer months and a unique old town that has held on to it’s ancient roots, some five kilometres from the beach. We were visiting during their “winter” so you’ll notice in some of our pictures, we are bundled up pretty good for the 20 C Vietnamese winter temps. We came mainly for the clothes, but were struck by the beauty of the town and the homeliness of it’s residents. From restaurant to accommodation staff, we’ve never been treated so well. Café 43 is tucked away on a tiny street just north of the old town. 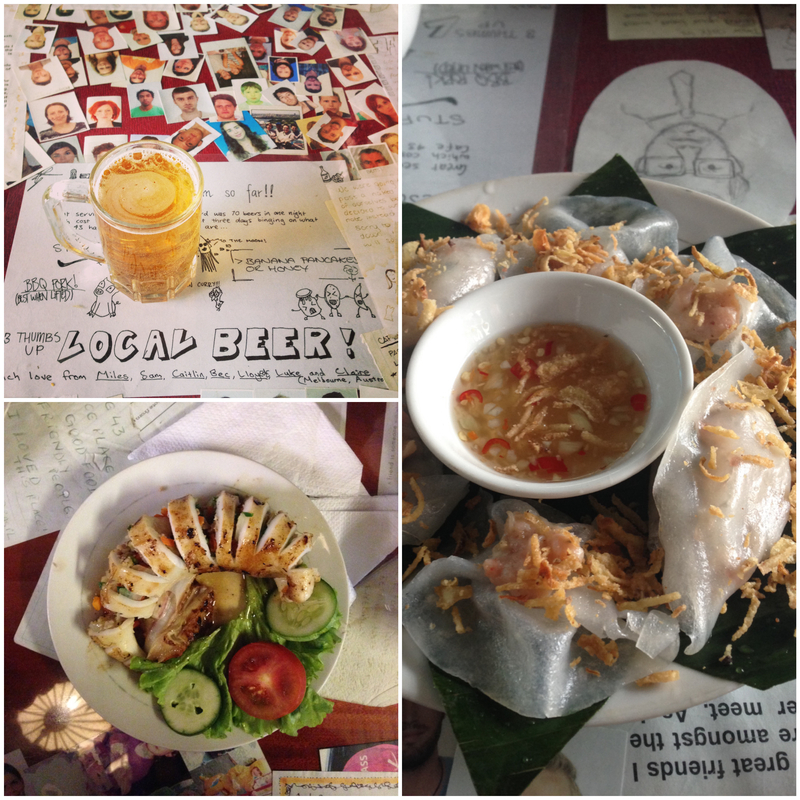 We stayed in Hoi An for six days and ate at Café 43 on five of them. The restaurant is family owned and I’m pretty sure we were served by each family member, including 14 month old ‘Strawberry’, the youngest. The food is incredible with stuffed squid, spring rolls, fried wontons as favourites plus the cheapest beer I’ve ever had in my life at $0.16 (3,000 VND) per glass. And yes, it was fit to drink. They also serve up one of Hoi An’s specialties, Banh Bao Vac (or White Rose), which are rice paper dumplings filled with shrimp. When they are steamed, the sides curl in a way that they look like flowers. They are special to Hoi An, because the water used to make the dough comes from a specific well, Ba Le well. The water is filtered numerous times before it is used. We tried these more than once, and they were delicious! Dingo Deli was our other go-to in Hoi An, when we craved some tastes from home. Good coffee, great breakfast, friendly owners and decent WiFi! They’ve got a ton of delicious looking baked goods, but unfortunately none gluten-free so we can’t report back. 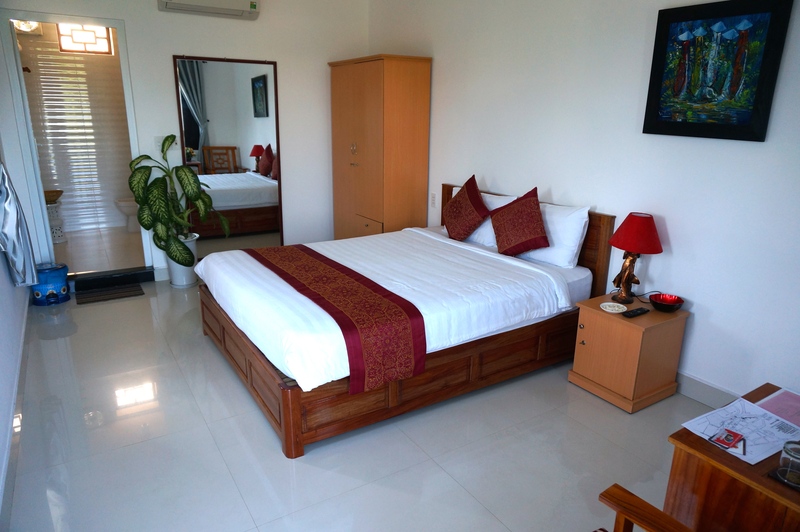 We had a sponsored stay at a beautiful resort, Sunrise Hoi An Beach Resort for the first couple of nights which a huge treat. 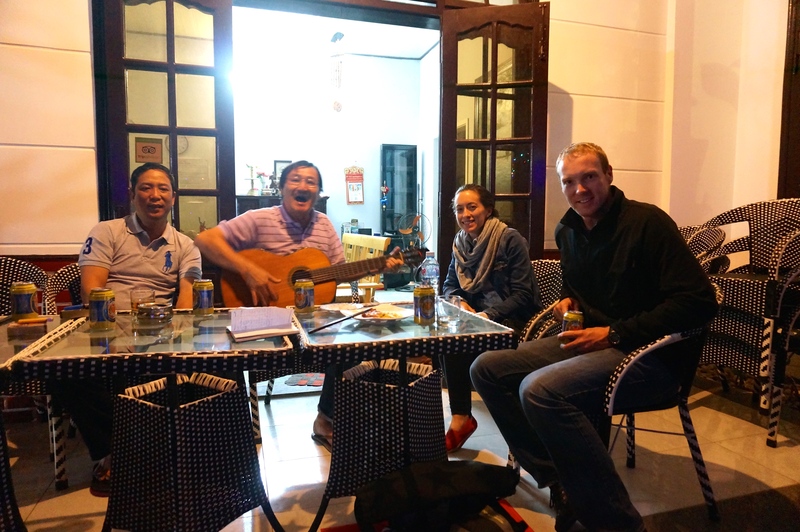 As nice as it was, the nights that followed at Red House Homestay are the ones we will remember most from Hoi An. Like Café 43, it is family owned and we really felt like we were part of this family. 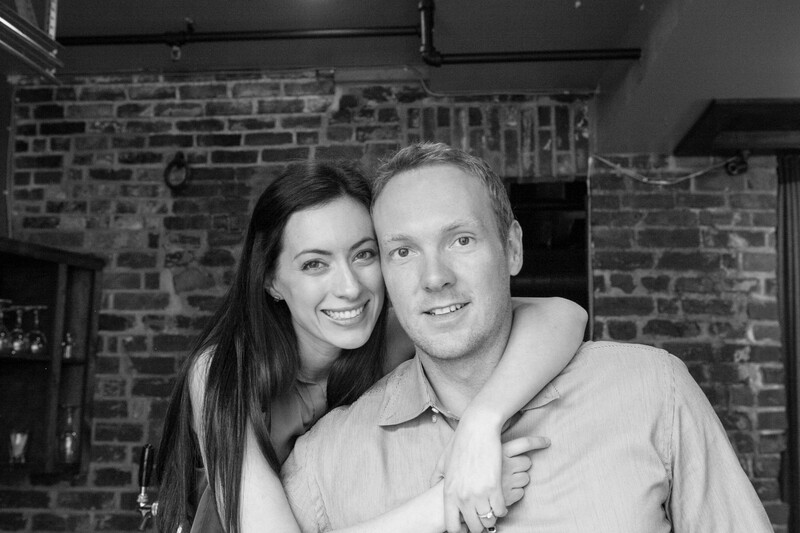 One night they invited us into their home, where beer, whiskey and tons of Vietnamese cuisine (and wine!) were served up for us. Mr. Hung even played the guitar for my parents on FaceTime one night. 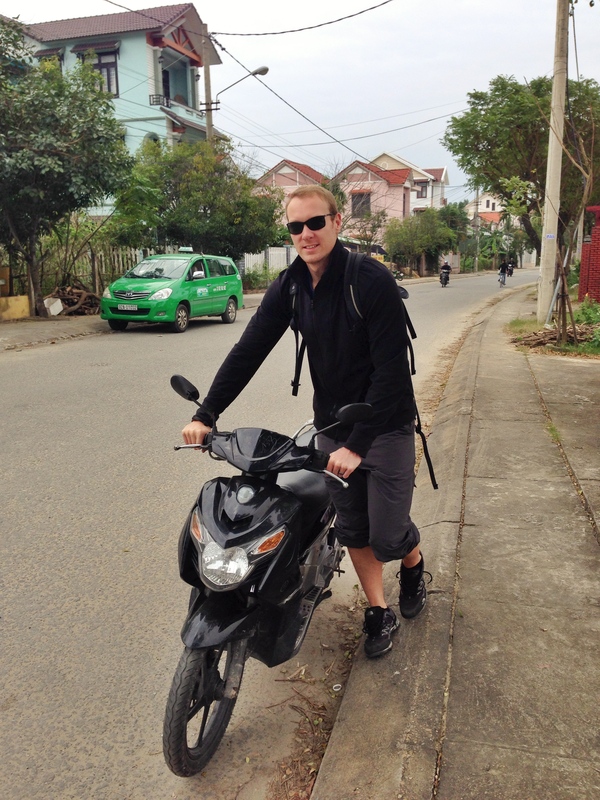 Aside from the food and drink, the family offered up a motorbike for us to use getting around town. This came in extremely handy going back and forth to the old town, except for when I ran out of gas and had to push it to the gas station. Two main reasons we looked forward to some tailored clothes; the first being my abnormally long arms not allowing me to find work clothes that fits and the second being Jessica’s petite frame resulting in the same problem, are the main reasons why Hoi An was high on our list. After reading about Hannah’s experience from Getting Stamped, we decided to check out Ha Na Cloth Shop & Tailor, which was, you guessed it, family owned and exceptional. Mai and her sisters were top-notch tailors (and salespeople) and were very friendly. Ha Na undoubtedly took more money from our jeans than we had planned, but the price tag was just a fraction of what we would have spent in Canada (or shopping across the border in the States). CLICK this link to read about our experience with Ha Na Cloth Shop & Tailor. 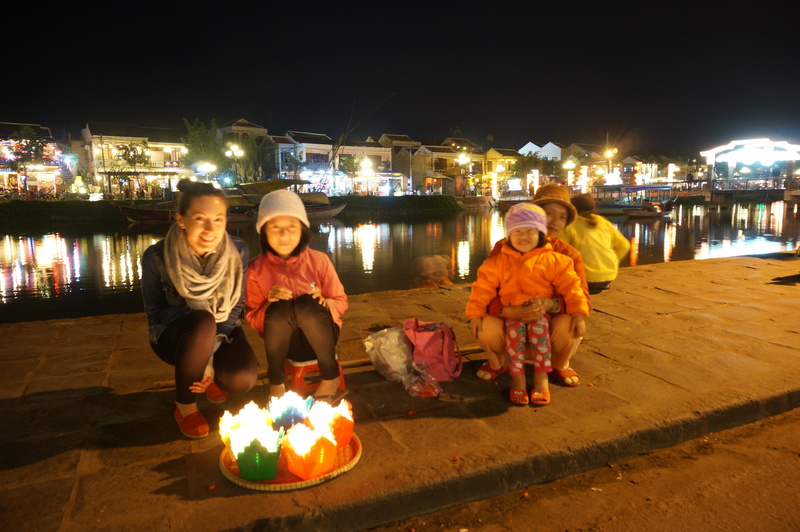 Hoi An’s old town is very beautiful, with it’s river lined with cafés, and souvenir shops. It is even nicer at night when everything is lit up, particularly the lanterns reflecting off the river. It’s definitely worth seeing and enjoying a beverage in one of the cafés, however be warned, it is terribly touristy. We had the opportunity to partake in our first ever ‘quiz night’ at a pub in the old town with our new friends from Wayfaring As One, Caroline and Ben. Our list of places to return to is growing, as Hoi An has been added to the list and it’s because of the people, more so than its sights. We will try our best to return to Hoi An. If not, we’ll be in touch with Mai from Ha Na tailors because she’s got our measurements on file! Looking at those pictures of Cafe 43 is making me hungry…Vietnam has some of the best food in Asia! What did you all get made at Ha Na tailor? My dress is still holding up, I love it! Great post. I wasn’t too keen on Vietnam but I LOVED Hoi Ann. It is beautiful! Great post. The food looks amazing. I hope to visit Vietnam sometime this year if possible. 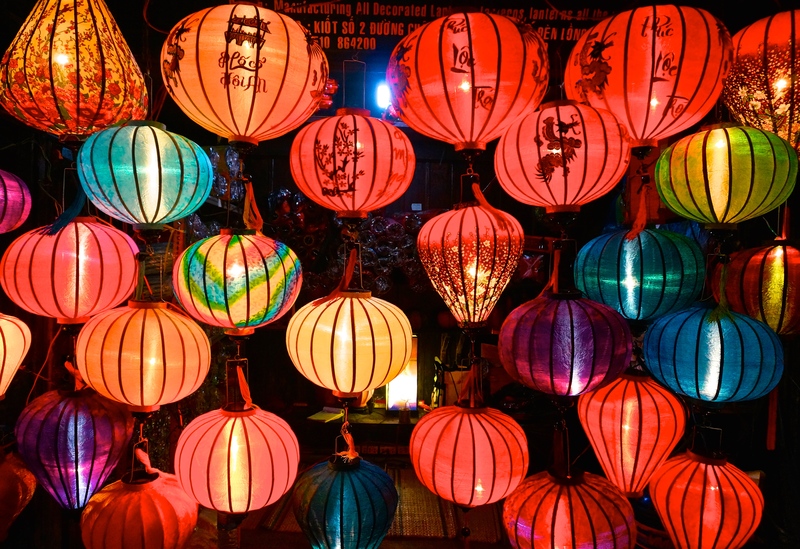 Based on your photos, Hoi An seems like a quaint and endearing little place. Cheers and happy travels! Thanks for reading! 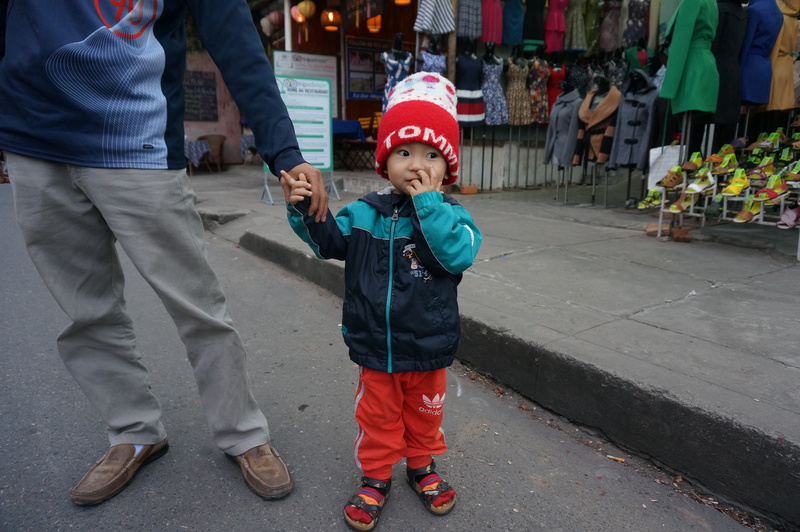 I hope you do make it to Vietnam – we loved it there. Felt much more authentic than some of the other places we visited in SE Asia. AND THE FOOD….enough said! Happy Travels!